This week’s Island Profile is a guest post, provided by Nevin Thompson of Nakwakto Rapid Tours near my hometown of Port Hardy, BC. If you have an idea for a guest post that might be relevant to my readers, please send me a direct e-mail. Many people don’t know that the ultimate white water nature trip in BC isn’t on a river, but instead can be found across Queen Charlotte Strait and the famed Inside Passage from Port Hardy, on northern Vancouver Island. The Nakwakto Rapids, at the mouth of Seymour Inlet, have been recognized as the fastest tidal surge in the world, and can run up to 30 km per hour during peak tidal changes. In fact, the currents are said to be so strong that Turret Rock, in the middle of the rapids, is nicknamed “Tremble Island” as the island is said to actually vibrate during peak tidal ﬂows. The wild, surging whitewater is powered by enormous volumes of seawater forced by tidal currents through narrow channels and islands. 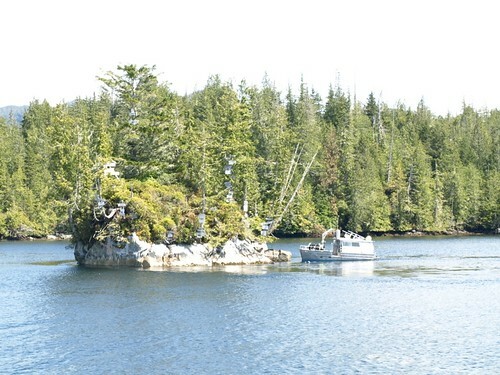 The Nakwakto Rapids are located at the head of Seymour Inlet, and are the gateway to hundreds of kilometers of remote and mysterious coastline, including the Great Bear Rainforest. 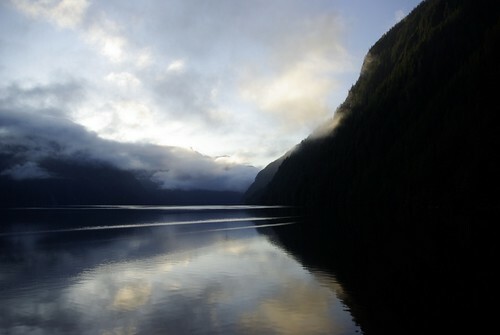 Access to the rapids is a one-hour trip by boat across Queen Charlotte Strait from Port Hardy. 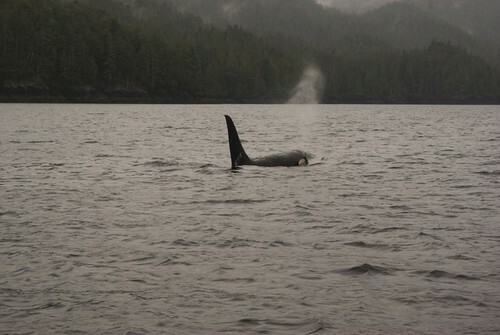 This amazing part of the world, part of the traditional Gwa’sala-’Nakwaxda’xw Nations territories, is home to an amazing variety of wildlife, from a resident Orca population to seals, porpoises, sea lions, and the occasional Fin whale, the second largest whale on the planet. 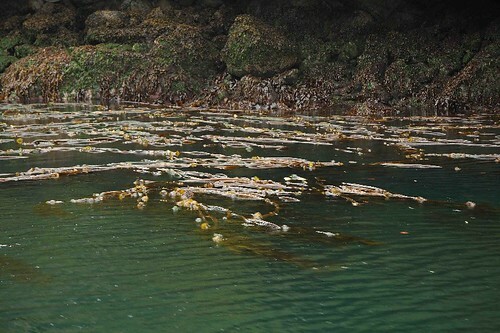 Nakwakto Rapids Tours, located on the Tsulquate Reserve within Port Hardy, operates aboard a 28′ Coast Guard-certified vessel. Running the world’s fastest ocean whitewater is a wild ride, and is entirely tidal-powered. Trip schedules depend on the tides themselves, which change depending on the time of the year. Find out about trip schedules here. To find out more about the Nakwakto Rapid Tours or to book a tour, please visit their ecotourism website. You can also find Nakwakto Rapid Tours on Facebook. Until June 4th, enter to win a $100 gift card to the Grotto Spa in Parksville courtesy of Tyze Networks. Enter here.